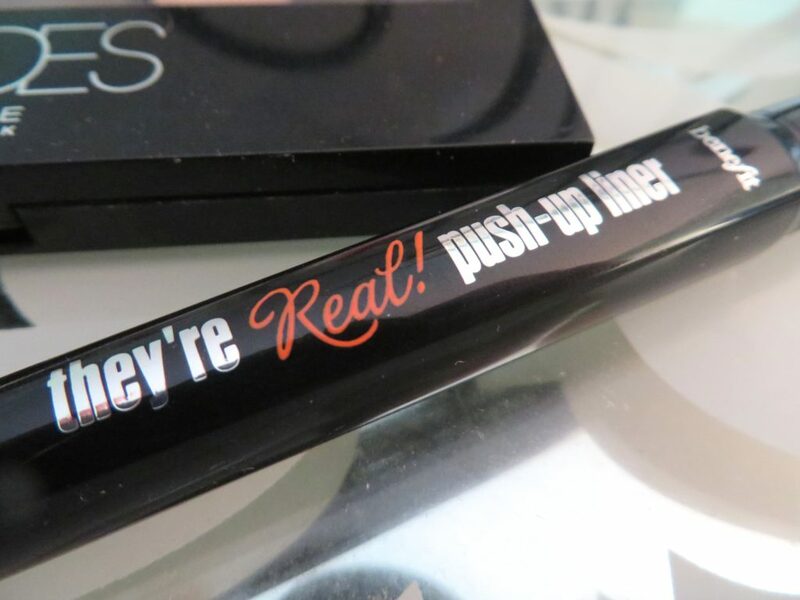 Meet Benefit’s They’re Real Push-Up Liner. 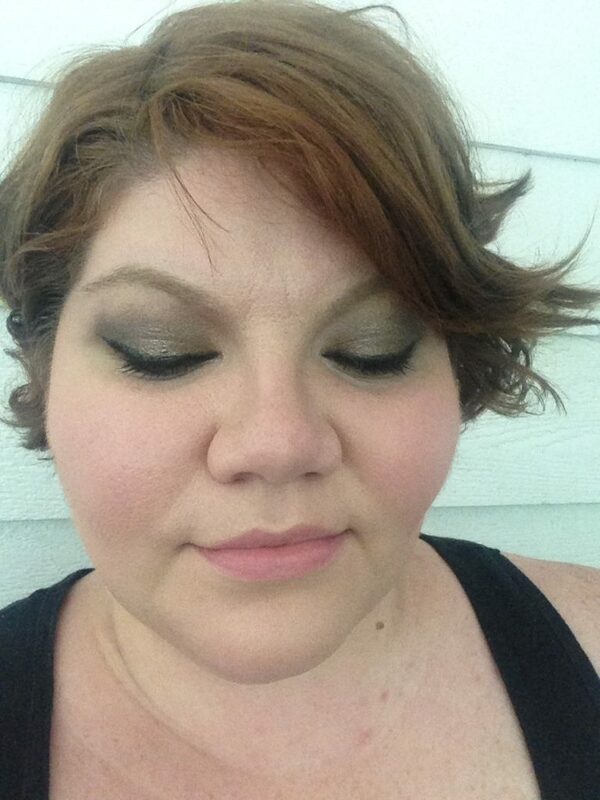 It’s a liner, unlike anything I’ve ever used before. Think Gel/Liquid Liner in one. 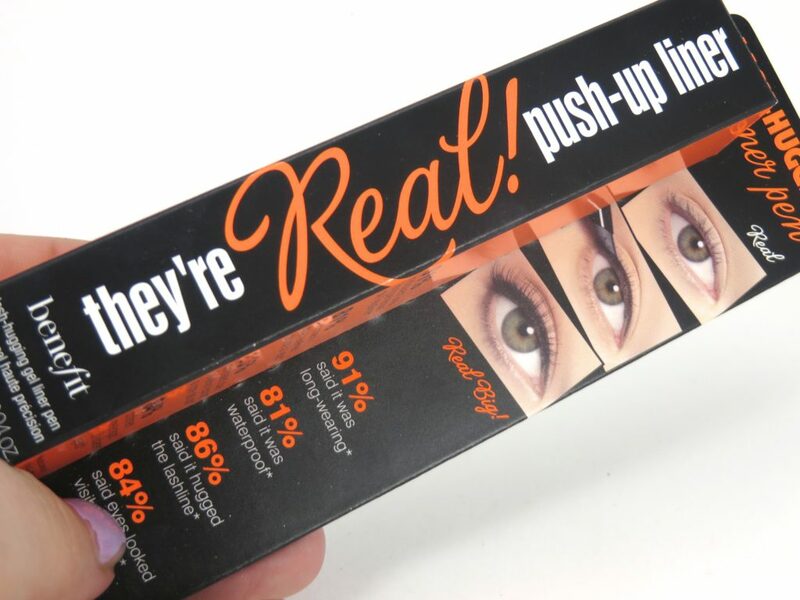 The actual product has a rubber tip that is supposed to “hug” the lashes and give you an extreme close line to your actual lashes. 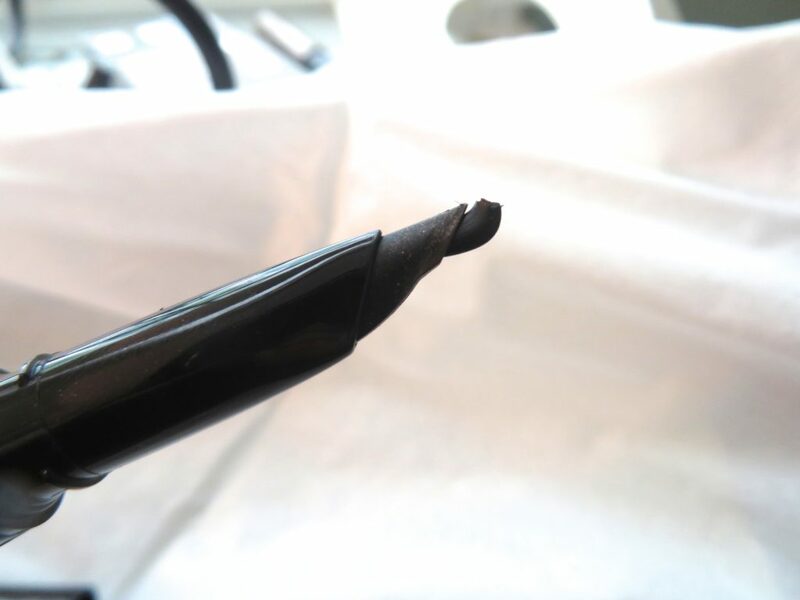 I’ve used this now for well over two weeks and I’ve FINALLY figured out my final thoughts on this liner. 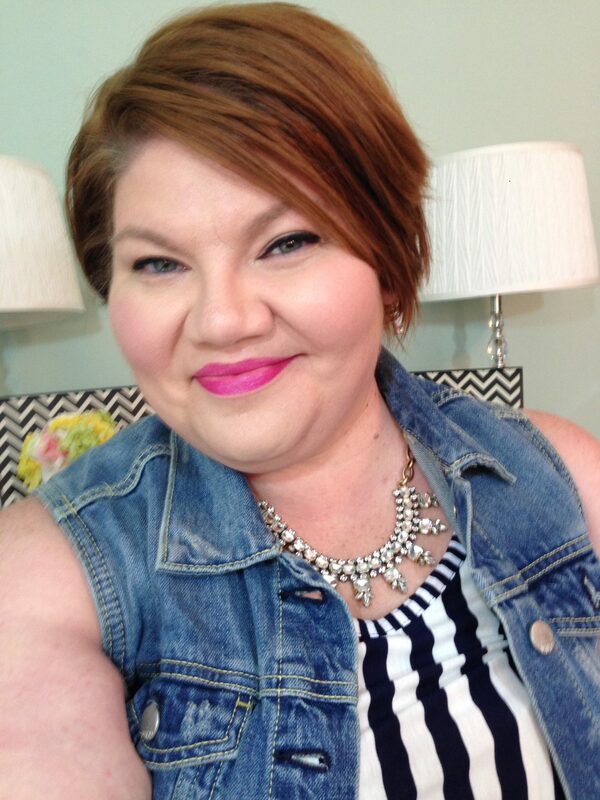 I keep it real for you here on my blog…. Water-proof. It didn’t move when I was at the pool wearing it. It is extremely hard to remove this product. I will say I didn’t try the remover they make, so that could make a huge difference. I have to use an oil based remover first and then I follow up with my Bioderma. It’s a real pain to remove. This flakes off on me. I get little “balls” I don’t know how else to describe them, on my face as the day goes on. I also get these same “balls” as I’m applying it because extra product is always left behind on the tip. No matter how little I’m using. Even just the smallest amount of product is way too much. I feel like I’m wasting product. 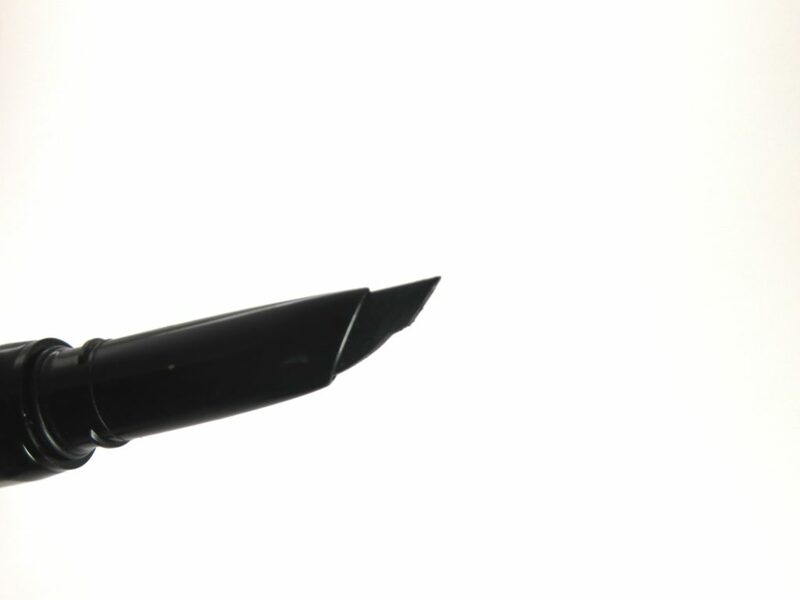 The rubber tip doesn’t make it easy to get a nice straight line (more on this below) and I’m not sure if it’s the tip or if its the actual formula of the product. I really gave this liner a try. I had read so many bad reviews, but I wanted to see what I thought. Well, I’ve used it and I’m still not convinced. There are days where I really love this liner and other days when I just really hate this liner. This isn’t a product I find myself really excited about using and instead, I sit there for a second and say a little prayer that all goes well. For me, makeup shouldn’t be complicated and I feel like there is a slight learning curve when it comes to this liner and that bothers me. 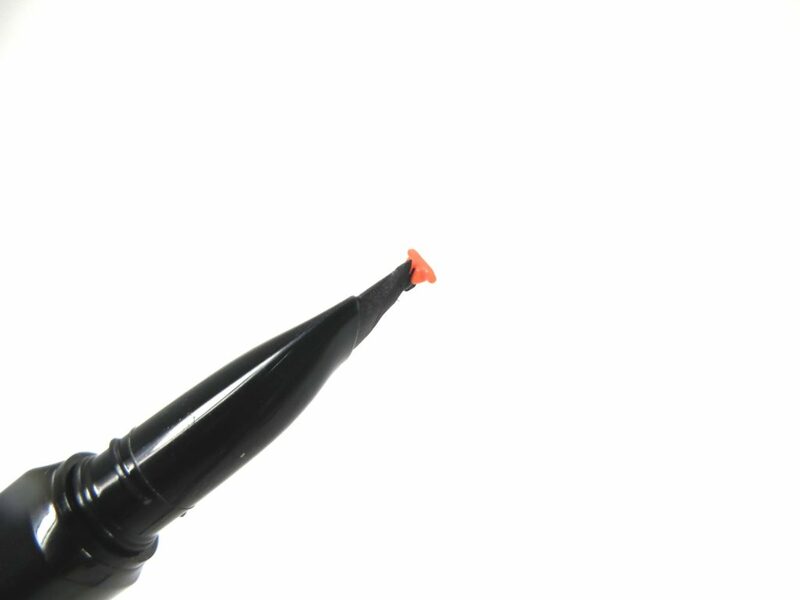 The other thing that really gets me irritated about this liner is that it doesn’t move once it’s applied. Yes, that can be great in certain situations, BUT let’s say you make a slight mistake and you need to correct it quickly. Nope. That liner isn’t moving. So while I appreciate that it definitely stays put, It also makes it very hard to remove. I’m not sure if it’s the combination of the rubber tip with that formula, but it just doesn’t work great to me. 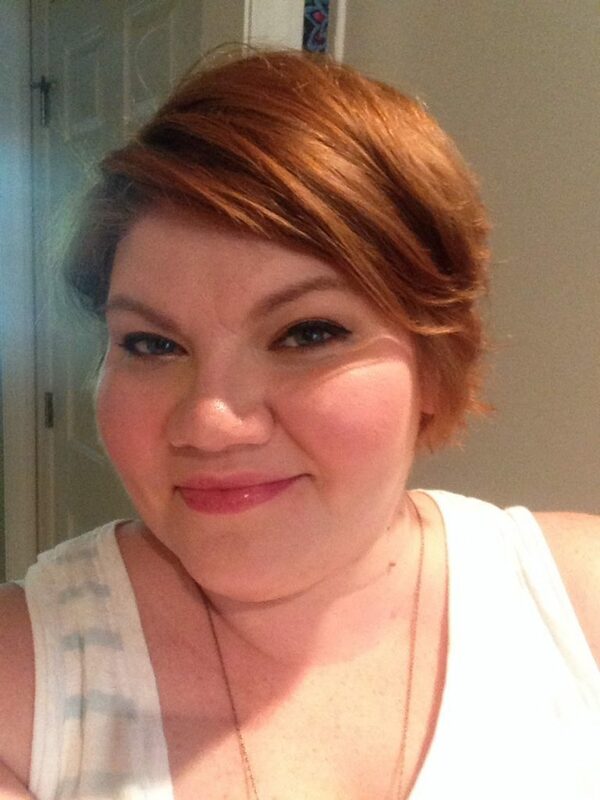 I know people who love this liner and that’s great, but for me, I just couldn’t say it was a product that I loved. Especially NOT at $24.00. I wanted this liner to be everything they said it would be. Easy to use, Simple. Are there parts that I like about it? YES! I especially love how jet-black the formula is, but it’s just the, not-so-good parts, bother me more than the things that I actually like about it. I think that this is just going to be one of those products that you either really enjoy using it or you really dislike it. I feel like it’s just as easy to get a angled liner brush and use some gel liner to get a nice, simple winged eye look. It might also be a lot cheaper in the long run, also. I filmed a YouTube video about this product along with a review of the Maybelline The Nudes Palette! You should take a look and see me explain all of this, ha! For some reason my video stopped recording at the end and I have no idea why, but I pretty much explained everything I wanted to explain. Enjoy!!! 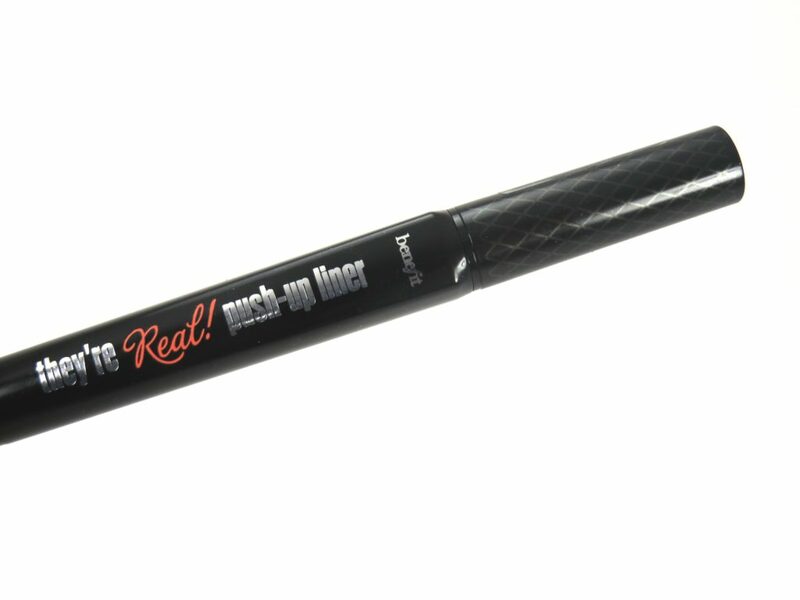 Have you tried The Benefit They’re Real Push-Up Liner? What were your thoughts? I’d love to know!!! All thoughts and opinions are my own. All products mentioned were purchased by Simply Stine.